The new documentary, Eric Clapton: Life in 12 Bars about the life and music of Eric Clapton, has premiered in New York City, and will also be screened at the Laemmie Monica Film Centre in Santa Monica on Friday, 24th November. 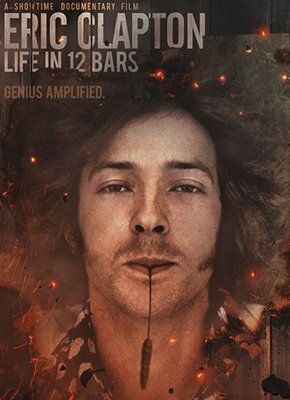 Directed by Oscar-winner Lili Zanuck (Rush, Driving Miss Daisy), Eric Clapton: Life in 12 Bars retraces Clapton's story from his childhood to the present day. The movie shares a personal insight into the legendary career of an artist who is the only ever three-time inductee to the Rock and Roll Hall of Fame and an 18-time Grammy Award winner. The film will be coming to the UK from the 10th January, 2018. To find the nearest cinema and book tickets visit claptontickets.film.